Come and do some natural dyeing with us on Saturday June 23, 2018, 9:00 a.m. – 3:00 p.m., at Peinhardt Living History Farm, Cullman, AL. Yellow dye comes from flowers, leaves and onion skins. Red comes from insects. Brown comes from nuts. We’ll use plants, trees and insects to color fibers. We’re planning black walnut hulls, pecan shells, marigold blossoms, mimosa leaves, onion skins, Queen Anne’s lace, cochineal, logwood, indigo and a couple of other dyes. 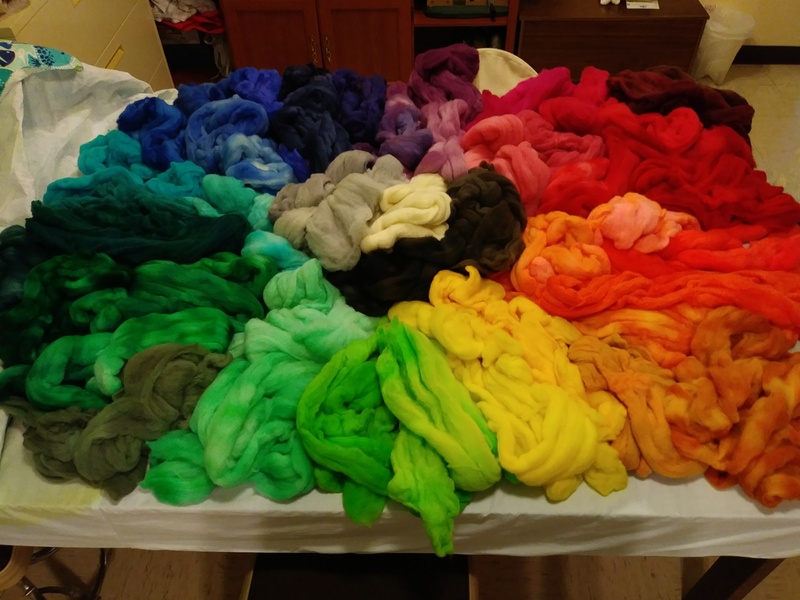 Learn how to prepare the fiber and the dyes. At the end of the day, you’ll have a rainbow of colors. Option 2 = $15, chemical fee and one pound of wool yarn washed and ready to mordant. Fee to be paid to leader at the beginning of the workshop. Pre-registration deadline: June 9. Maximum Number: 15. Workshop open to adults and youth ages 14 and up. For driving directions, see peinhardtlhf.tumblr.com/directions. For pre-registration and more information see the May or June Guild Newsletters.